Bunclody is a town in two parts. It’s not just that some people still refer to it with whimsical affection as Newtownbarry, which was its official name until 1950, but it is also a town with two separate parts. The River Clody has traditionally divided the town between two counties, so that Carrigduff is in Co Carlow and Bunclody is in Co Wexford. The two form one town for census purposes, and many of the town facilities are on the Co Carlow side of the River Clody rather than Co Wexford, including the swimming pool, the Garda station and the Bunclody branch of Wexford County Library. Coming out of the Millrace Hotel in Bunclody last weekend, it was possible to imagine I was caught in some sort of “No Man’s Land” between Co Carlow and Co Wexford. 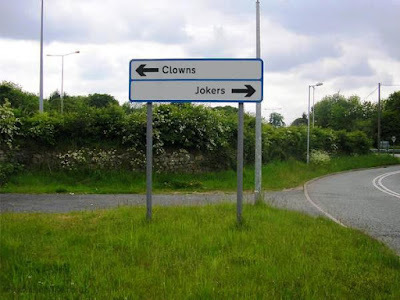 For one moment, I was tempted to think I in the middle of nowhere, and I found myself humming Stuck In The Middle, written by Gerry Rafferty and Joe Egan and recorded by their band Stealers Wheel in 1972. Perhaps my memory was also prompted by a humorous photograph that has been posted many times in social media in recent weeks. But this too was the dilemma for James Annesley (1715-1760), the kidnapped heir who lost his family fortune and titles through the decadent lifestyle of his father and the cruel scheming of his uncle. I was in Bunclody researching photographs for a magazine feature on James, who was sent to school in Bunclody in 1720-1722 while his father Arthur Annesley (1689-1727), 4th Lord Altham, was living in Carrigduff Castle, now in ruins on the Co Carlow side of the town. The boy was born in Dunmain House, near Gusserane, outside New Ross. A few months before they moved to Bunclody, Arthur’s widowed aunt, Ursula Lady Altham, had sold off the Annesley estates in Carrigduff and Bunclody to the Barry family who later planned and built Newtownbarry on the estate. 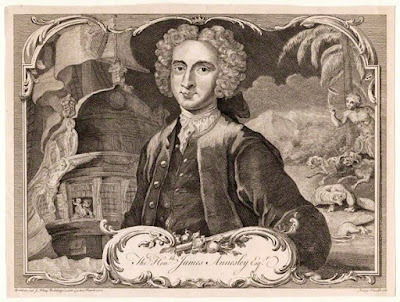 Young James, who stood in the way of his Uncle Richard’s ambitions for wealth and titles, was kidnapped, sold into indentured labour in the colonies, and when he escaped later fought lengthy legal battle to recover his inheritance and his birth-right. Despite favourable court rulings, the former schoolboy from Bunclody was thwarted in every effort he made to have the judgments enforced, and he died in obscurity at the age of 34. For most of his life, he had been caught in the middle of nowhere, like that short stretch of road in Bunclody, neither in one place nor the other. But that’s a story for the Diocesan Magazine and the Church Review in February 2016. Bunclody and that no-man's land apart, this post is an excellent summary of Anglicanism in its various dimensions. As a Catholic, i admire much about Anglicanism, in particular, the reverence for the first five centuries which we Catholics in the post-Tridentine fever had in large measure abandoned. When I was a student of theology in Maynooth many moons ago, almost all the primary English language references for patristics were from the Anglican tradition. Hopefully, the meetings this week will maintain the unity of faith grounded in the doctrinal development of those foundational centuries. On the issues that are currently causing tensions, our evolving consciousness as a species will (hopefully) allow us to resolve them in the full recognition of our shared 'hunanitas' without ceding either to current pressures to conform to ideological agendas or the temptation of fundamentalism. It's about 'knowing the place from which we have come' which always has the newness of 'the first time'.